USbreathalyzer.com introduces the AlcoMate AccuCell AL9000 breathalyzer, the easiest-to-use and most lightweight handheld fuel-cell breath alcohol detector available on the market. The AccuCell breathalyzer incorporates advanced fuel-cell alcohol sensors to provide you with maximum precision and accuracy as well as the ability to handle rigorous high-volume testing without issue. The optional USB PC-Connect Kit for the AlcoMate® AccuCell allows you to store breath alcohol test results on to a computer (Windows PC only) and results can be exported conveniently to Excel format. 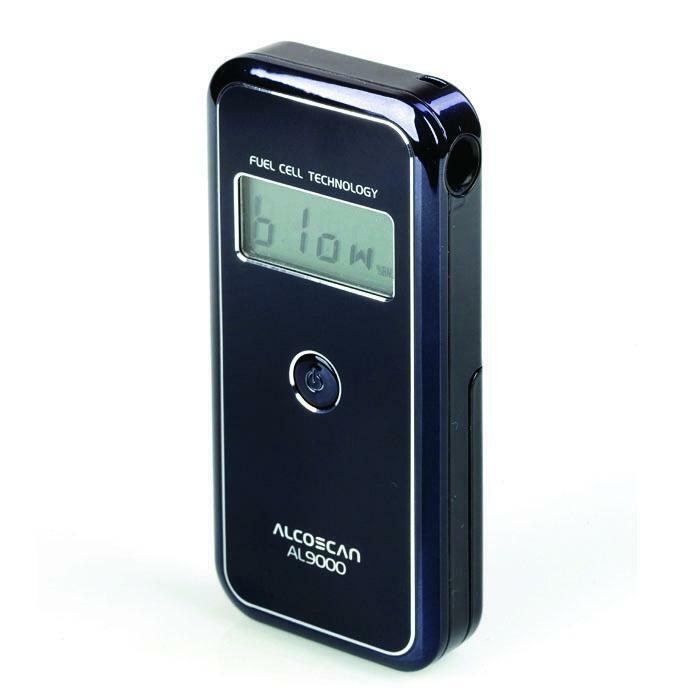 The AlcoMate AccuCell is a professional breathalyzer that quickly estimates blood alcohol content (BAC). The AccuCell AL9000 is the perfect choice for law enforcement, hospitals, clinics, businesses, and for personal use anytime fuel cell accuracy is required. A breathalyzer that utilities a fuel cell is using one of the most advanced methods of determining a persons BAC (blood alcohol concentration). A fuel cell measures alcohol content by creating a chemical reaction through platinum metal that oxidizes the alcohol in the sample and produces an electrical current. Fuel Cell breathalyzers are more specific for ethyl alcohol and reduces false readings from substances such as ketones that are similar in chemical structure to alcohol. Therefore, they are accurate and very stable. Fuel cell sensors are expensive and commonly used in industrial or evidential grade breathalyzers.